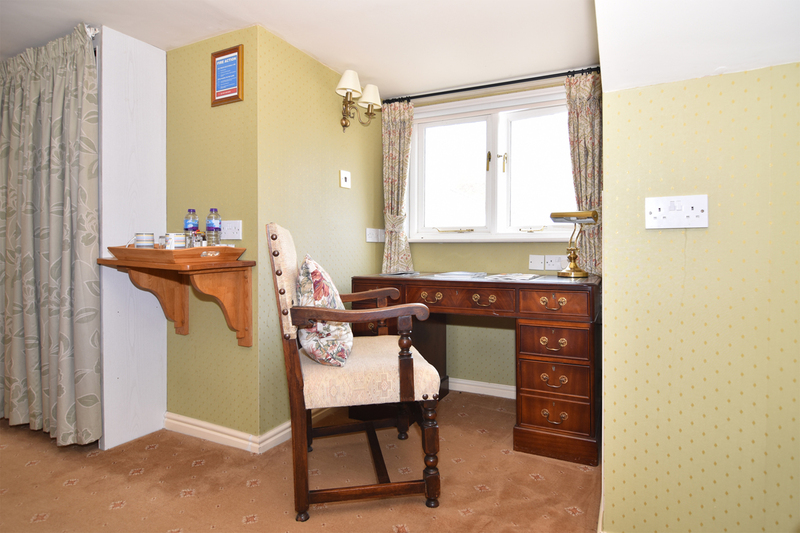 This lovely delux room is on the second floor; a quiet space to relax or work. 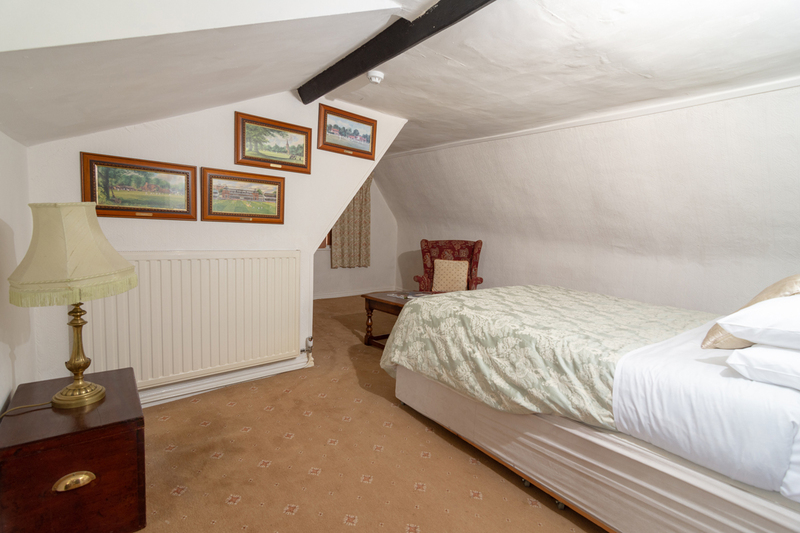 The bedroom is spacious with two windows with a desk fits beautifully into the dormer. 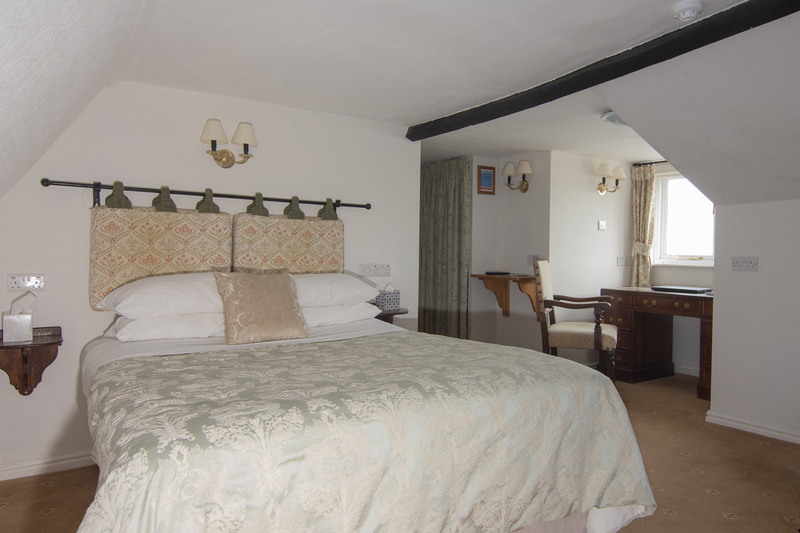 Two armchairs complete the accommodation, ensuring a comfortable, relaxing stay. 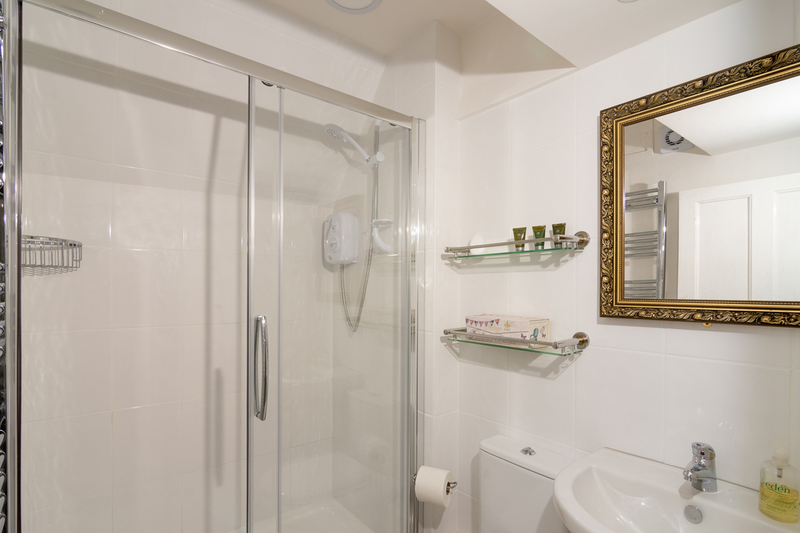 The ensuite bathroom has an large, modern power shower.